The ARRL/TAPR Digital Communications Conference (DCC) was held September 24-26 near Portland, Oregon. The ARRL/TAPR DCC is an international forum for radio amateurs to meet, publish their work and present new ideas and techniques. Presenters and attendees had the opportunity to exchange ideas and learn about recent hardware and software advances, theories, experimental results, and practical applications. Click here to read Ward Silver's, N0AX, take on the event. Having successfully completed vibration testing this week, the ARISSat-1/RadioSkaf V satellite will soon be on its way to Russia for final preparation and launch to the International Space Station. In Russia, the Kursk experiment will be added and the satellite will undergo additional testing. 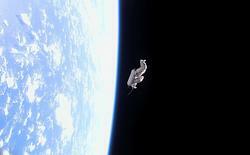 A new Russian Orlan suit battery will be shipped to the ISS separately to be installed into the satellite. ARISSat-1 is scheduled to be sent to the ISS aboard Russian Progress vehicle 41P in January 2011 and deployed during EVA (extra-vehicular activity, commonly called a spacewalk) R-28 in February 2011. Read more here. 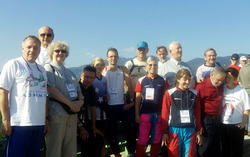 ARDF Team USA has just returned from Croatia, the site of this year's World Championships of Amateur Radio Direction Finding (ARDF). Three team members have new medals for their collections, the most medals ever earned in the World Championships by the USA. ARDF -- also called foxhunting and radio-orienteering -- requires map-and-compass proficiency, stamina and speed, as well as skill using direction-finding gear. It is done entirely on foot. Each day, the competitors set forth into a 1700 acre woods containing five "fox" transmitters in unknown locations. The foxes for each band are all on the same frequency and each one comes on the air for 60 seconds at a time in rotating sequence. Only men and women in the prime age category are required to look for all five; those in the other age/gender categories search for fewer, in accordance with International Amateur Radio Union rules. Read more here. In one of the remotest parts of India, there are virtually no communication sources -- no cell phone towers, no landlines, no Internet access. But in democracies, elections are the key, even in the most isolated parts of the world. The Indian state of Kerala -- located on the western side of India's southern coast near the tip of the subcontinent -- will be holding its local elections -- called panchayat -- in October. The tribal hamlet of Idamalakkudi is located in Idukki, one of Kerala's 14 districts. It is to this village where upwards of 1400 people will gather to cast their votes for their local leadership for the Idamalakkudi tribal Grama Panchayat. 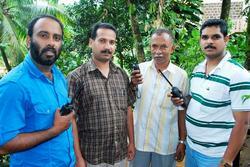 And as isolated as the village is, members of the Emergency Communication Society and Idukki Ham Radio Club will be on hand to assist. Read more here. At its July 2009 meeting, the ARRL Board of Directors established the George Hart Distinguished Service Award to be given to an ARRL member whose service to the League's Field Organization is of the most exemplary nature. The Distinguished Service Award is named in honor of George Hart, W1NJM, long-time Communications Manager at ARRL Headquarters and chief developer of the National Traffic System. Read more here. The Sun, as seen on Thursday, September 30, 2010 from NASA's SOHO Extreme Ultraviolet Imaging Telescope. This MDI (Michelson Doppler Imager) image was taken in the continuum near the Ni I 6768 Angstrom line. The most prominent features are the sunspots. This is very much how the Sun looks in the visible range of the spectrum. 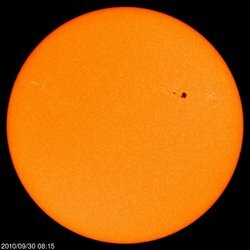 Tad "Magnificent strong Sun...so prodigally generous of pristine light" Cook, K7RA, reports: Conditions were good over the past week, with the average daily sunspot numbers up more than 5 points to 45.3, and the average solar flux rising 1.5 points to 84.4. On Wednesday, September 29, the solar flux was 90.7. The last time it was nearly this high was August 7 at 90.5, and it last topped this value at 91.8 on March 13, 2010. Despite dire predictions from some for a Maunder Minimum and no more sunspots, Solar Cycle 24 continues to progress. A coronal wind on September 24 provided the moderate geomagnetic activity for the week, with the planetary A index rising to 13. Look for more information on the ARRL Web site on Friday, October 1. For more information concerning radio propagation, visit the ARRL Technical Information Service Propagation page. This week's "Tad Cookism" is brought to you by David Gascoyne's September Sun. Click "Edit your profile," located just below the "Your Favorites" drop-down menu. On the right hand side, you will see the "Remove" link next to each of your favorites. When you click on the "Remove" link, that page will then be deleted from the "Your Favorites" listing. 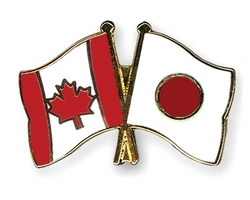 Kunikazu Togashi, JA7NI, in Daisen, Akita, Japan, and Scott Tilley, VE7TIL, of Vancouver, British Columbia, completed a transpacific QSO on 2200 meters (137 kHz) on September 28. Tilley called this a first between Canada and Japan. The distance between CN89dk (VE7TIL) and QM09fl (JA7NI) is 7162 km. While not the DX record for 2200 meters, Tilley told the ARRL that the QSO comes in second to the distance achieved in 2004 by operators at the Wellington Amateur Radio Club Quartz Hill User Group, ZM2E, in New Zealand and Vladimir Burakov, UA0LE, in Vladivostok, Russia. Read more here. 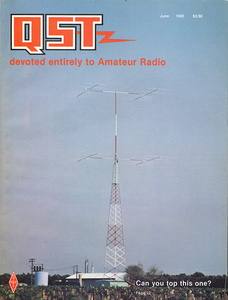 Frank Clement's Collinear Yagi Sextet antenna as it appeared on the cover of the June 1980 issue of QST. Click here for a larger image. HF antenna pioneer A. J. F. (Frank) Clement, W6KPC, of Bakersfield, California, died September 23 as a result of a highway accident. He was 93 and an ARRL Life Member. A former owner of Tri-Ex Tower, Clement designed and built a number of high performance HF arrays over the course of several decades. 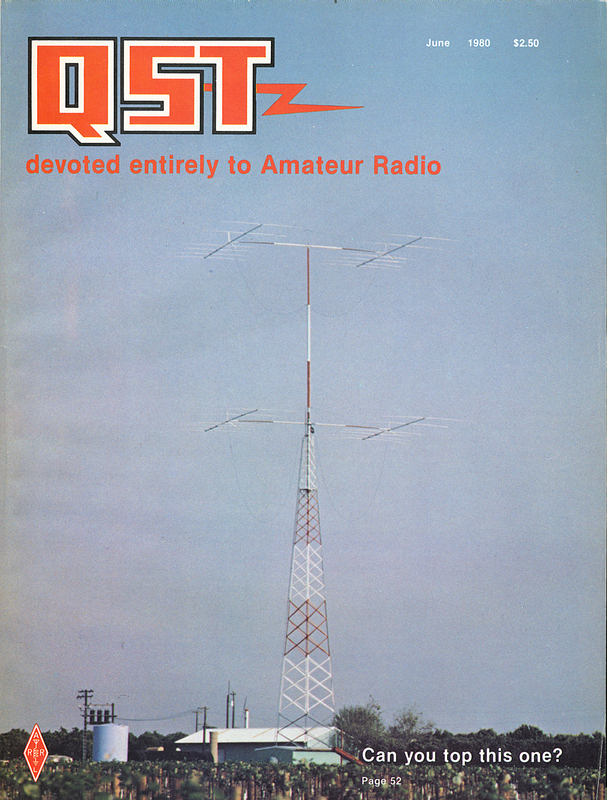 The June 1980 issue of QST featured his article describing the Collinear Yagi Sextet. As he described it, "[t]he antenna systems at W6KPC and OH8OS are computer controlled. The computer is programmed to search through the eight modes to see which receives the incoming signal best." His other state-of-the-art antenna projects appeared in the September 1951, May 1958 and November 1978 issues. Read more here. Roger Strauch, KD6UO, travels frequently but still enjoys Amateur Radio, thanks to a station that he controls remotely via the Internet. Strauch visited ARRL HQ earlier this month and demonstrated his remote station. Click here to watch the video.